Pope of the Coptic Orthodox Church of Alexandria Tawadros II participated in a ceremony at the Egyptian Embassy in Austria on the occasion of the 66th anniversary of the revolution of July 23, 1952. The ceremony, held Thursday evening, was attended by more than 50 ambassadors and diplomats, beside 300 other attendees who warmly received the Pope. 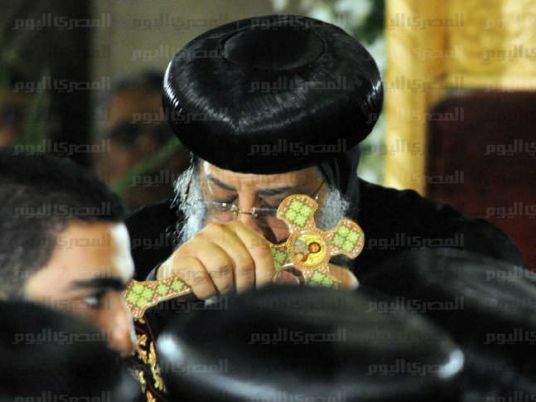 Tawadros expressed happiness about participating in the national occasion of the July 23 revolution. He added that Egypt had a long history and civilization and has been a model for coexistence between Christians and Muslims for 14 centuries. Tawadros arrived in Vienna coming from Italy on Monday for a short pastoral visit to Vienna’s Eparchy.